The SB 1046 “Ignition Interlock Device” law that you need to know about. You have probably heard that there are new California DUI laws coming in with the new year. and register no alcohol in your breath. If alcohol is detected, your car won’t start. (DUI) and first time DUI offenders whose violations resulted in injury, must install an ignition interlock device (IID) for a period ranging from 12 to 48 months. This law also allows those who receive a suspension under the Administrative Per Se law (DMV action) to obtain an IID-restricted driving privilege, and receive credit toward their required IID restriction period if they are later convicted of a DUI. These provisions apply to DUI violations that involve alcohol or the combined use of alcohol and drugs. They do not apply to drug-only violations. Additionally, courts have the discretion to order a non-injury first time DUI offender to install an IID for a period of up to 6 months. If the court does not order IID installation, a non-injury first time offender may voluntarily apply for a driver license with IID restrictions or restrictions that allow them to drive to, from, and during their employment and to and from a DUI treatment program for 12 months. This new law was previously an IID pilot program in effect in Alameda, Los Angeles, Sacramento and Tulare counties for the past 2 years. The new law applies only to arrests after 1/1/19. I was just arrested for a DUI in Palm Desert. You should not be scared as to what will happen to you now. You need to have your wits about you to deal with the potentially long process that you are now looking at. You need to consult with a good, experienced Palm Desert criminal defense attorney who regularly handles DUI case. A lawyer who handles all types of criminal cases in the Indio courthouse will be the best to look for. This type of lawyer will not only know the DUI laws and local (Palm Springs) DMV license suspension hearing procedures, but will also have a lot of knowledge about how the court system works for a Palm Desert DUI arrestee. One of the differences between a DUI arrest in Palm Desert as opposed to a DUI arrest in Palm Springs, Indio or Cathedral City is with the police agency that has arrested you. One of the differences between a DUI arrest in Palm Desert as opposed to a DUI arrest in Palm Springs, Indio or Cathedral City is with the police agency that has arrested you. Those cities each have their own police departments. Whereas, Palm Desert, La Quinta, Coachella, Thousand Palms, Rancho Mirage, Indian Wells and Desert Hot Springs have contracts with the Riverside County Sheriff’s Office (RSO) to provide law enforcement for their cities. Be aware though that the California Highway Patrol (CHP) out of their Indio office are very active on the surface streets of Palm Desert after dark specifically looking for DUI drivers. 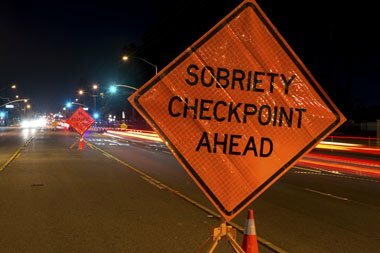 Do not drive on Washington Street, Highway 111, Cook Street or Monterey in Palm Desert after dark if you have been drinking alcohol, as these are the streets most commonly patrolled by CHP in Palm Desert. You can be stopped on less traveled surface streets, but it is not as likely. The difference to you as to whether you are stopped by the CHP or the RSO in Palm Desert is that if you are arrested for a DUI by the CHP, they are very well trained (most of them, anyway) in how to make a DUI arrest and how to properly document the arrest in the written reports that are required by DMV and the district attorney’s office to prosecute you. The other non-CHP police agencies are not as well trained and do not do as many DUI arrests as the CHP. So, their arrest procedures and report writing are usually not done as well and they make more mistakes in these areas that can be used to your advantage by a good DUI lawyer. If you are arrested for a DUI in Palm Desert or any part of the State of California, the arresting officer has the right to immediately seize your driver’s license card and they must then give you a paper (form DS-367, pink in color) that will serve as your temporary license for the next 30 days, at least. In effect, the police officer is making the decision, with the authority of the DMV behind him, to suspend your license for a 4 month period. Although few people actually read the fine print on the DS-367, it does contain important information concerning your right to request an Administrative Per Se (APS) hearing with the DMV to contest the license suspension. What the fine print says is that you have 10 days from the date of your arrest to call the DMV Drivers Safety Office to request and schedule the APS hearing. If you do not make that call within the 10 calendar days allowed, you have lost your right to the hearing and your license suspension will be effective 30 days from the date of your arrest. The suspension will last for at least 4 months. There are certain things you must do at the end of the 4 month suspension period to have your license reinstated. This action taken by DMV is completely separate and independent from what may occur in a court case that may be filed as a result of your Palm Desert arrest. If you are arrested for a DUI in Palm Desert, the best thing that you can do for yourself is to consult with and retain the best DUI lawyers available in Palm Desert… Jimenez Law Office, The Desert Defenders! Valley Center teenager Timothy Piceno was flanked by his mother and lawyer as he made his way through a crowd that packed the courtroom to see him sentenced for the drunken driving death of an Oceanside man. … But Deputy Public Defender John Jimenez, one of the groups strongest critics in this area, said he is conducting research that could show MADD’s influence on the district attorney’s office.